I was after a simple to read clock that could be adjusted in size on-the-fly as my home monitor is huge and my laptop is tiny. 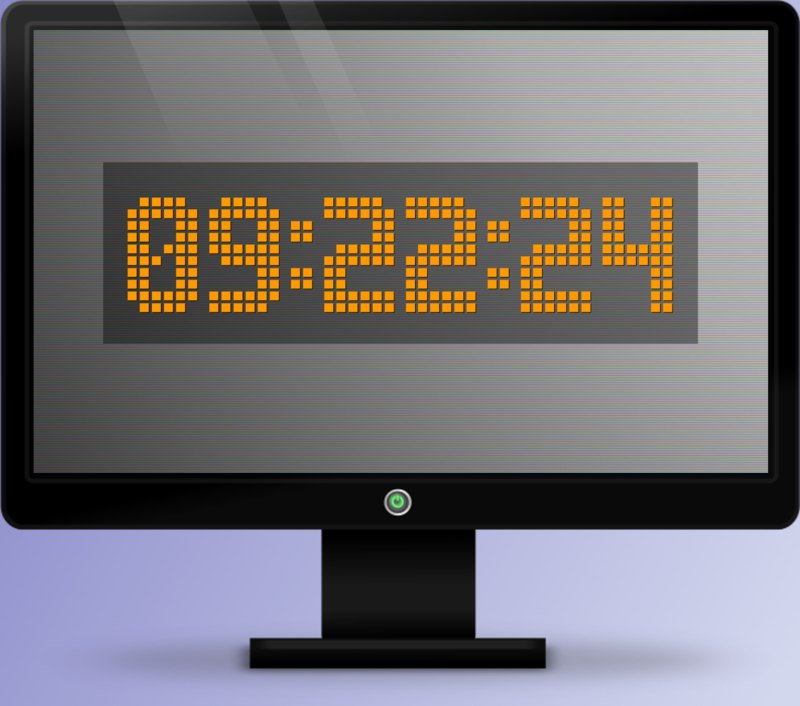 The result is the Scoreboard Clock which resembles those seen at sporting events. Scroll you mouse over the clock to adjust the size to suit your needs.